Medical device manufacturer Stryker has added Mary Brainerd to its board of directors. Brainerd, the retired CEO of HealthPartners, a $6 billion not-for-profit hospital and health insurance system in Minnesota, will get an annual $60,000 retainer fee and about $500,000 worth of stock options, according to a federal filing posted by Stryker. 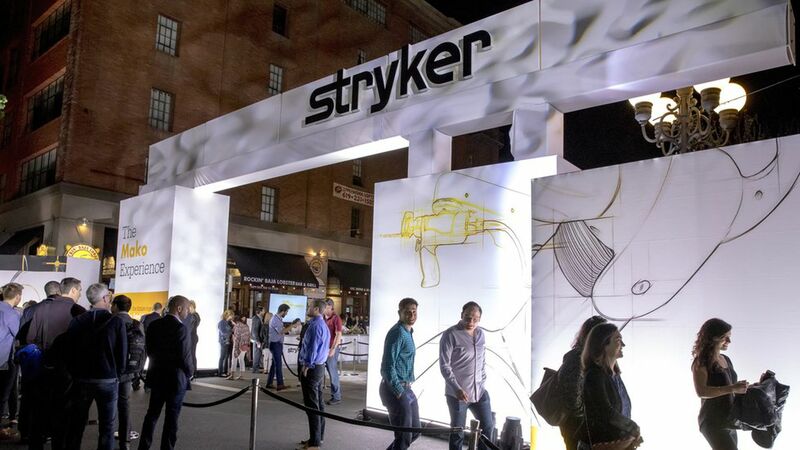 The kicker: Stryker sold $17 million worth of medical devices to HealthPartners between January 2016 through May 2017. Why it matters: Many health care executives — at both not-for-profit and publicly traded companies — hold cushy positions on the boards of other companies. That isn't problematic in a vacuum, but it could raise questions about conflicts of interest if executives' organizations do business with the companies where they hold board power. Update: A HealthPartners spokesperson said the system uses "competitive bidding processes for major contracts, and these are complex, evidence-based decisions made by purchasing leadership, not the CEO." Kevin Lofton, CEO of Catholic Health Initiatives: board director at Gilead Sciences, a pharmaceutical company known for its high-priced HIV and hepatitis C medicines. William Roper, CEO of the University of North Carolina Health Care: board director at dialysis chain DaVita and pharmacy benefit manager Express Scripts. Martha Marsh, former CEO of Stanford Health Care: board director at medical device company Edwards Lifesciences, medical supplies provider Owens & Minor and health care staffing firm AMN Healthcare. Nancy Schlichting, former CEO of Henry Ford Health System: board director at pharmacy chain Walgreens Boots Alliance. John Forsyth, CEO of Wellmark: board director at medical supplies and drug company Baxter International. Ellen Zane, former CEO of Tufts Medical Center: board director at medical device company Boston Scientific. Kenneth Samet, CEO of MedStar Health: board director at Evolent Health, a technology and consulting company for hospitals and health plans. Diane Holder, CEO of UPMC Health Plan: board director at Evolent Health.